We started the better again in the second half and on 46 mins we missed a great chance to draw level when we missed a pen. On 48 mins we drew level when Shane O' Neill finished from close range. Shane Murphy finally saw off the hosts finishing from close range in the 90th minute to see us through to the next round of the cup. Well done to all the lads and management of John Halpin and Jim Halpin. The game started evenly with both teams playing attacking football in an end to end first 20. Cahir park found themselves one up after 20 minutes when their striker beat the Kevins keeper in a foot race and scored. The scores were level soon after. 1-1 HT. Kevins upped it a gear at the beginning of the second half and were finding joy down the right hand. Cahir scored their second following good play halfway through the second period, before adding a third on the break late on. Well done lads ..
Cahir Park U8s and U10 girls played a blitz in Tipperary Town on Sunday morning last. 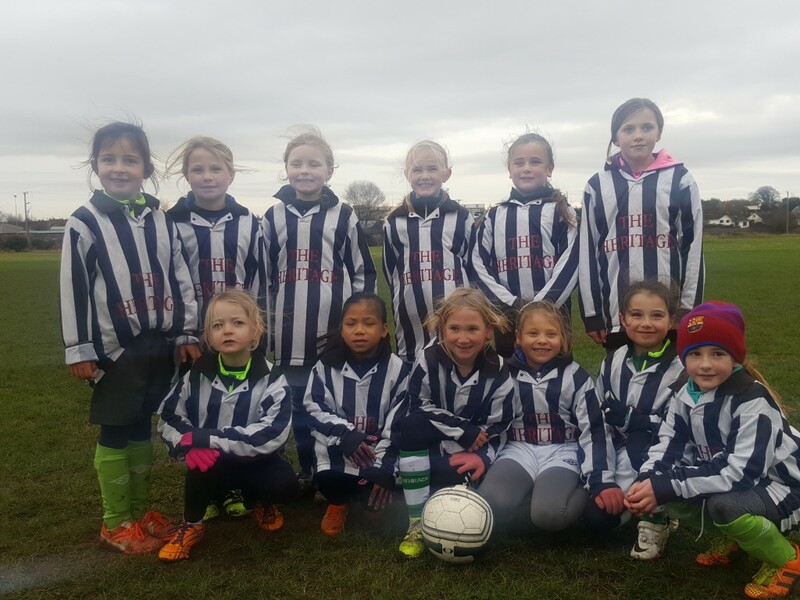 For a lot of these girls this was their first game in a Cahir Park jersey and they did not dissapoint. Ava Fanning started in goal and made some very good saves before moving outfield and impressing further. In defence we had strong performances from Amy O Connor, Casey Butler, Jessica Davis and Zoe Conway. We had a very good midfield of Eire Carroll, Caoimhe Leahy, Sienna Ferris and Heather Kiely. Our hard working strikers included great performances from Ava McKenna, Tia Kelly and Lauren O Donovan. This was a fantastic first day out with many more to come. Well done to all the girls. Training continues on Tuesdays and Friday nights at 7pm. Our U9 boys competed very well in a blitz Sunday morning in St Michaels. Well done boys see you all Saturday morning at academy in Cahir Park Astro Pitch. The club have received 150 tickets from FAI CEO John Delaney for the upcoming Wales game in March for club members only. If your child is interested in attending please let your manager know as we need time to organise tickets and buses. We may have to draw tickets depending on ticket availability.